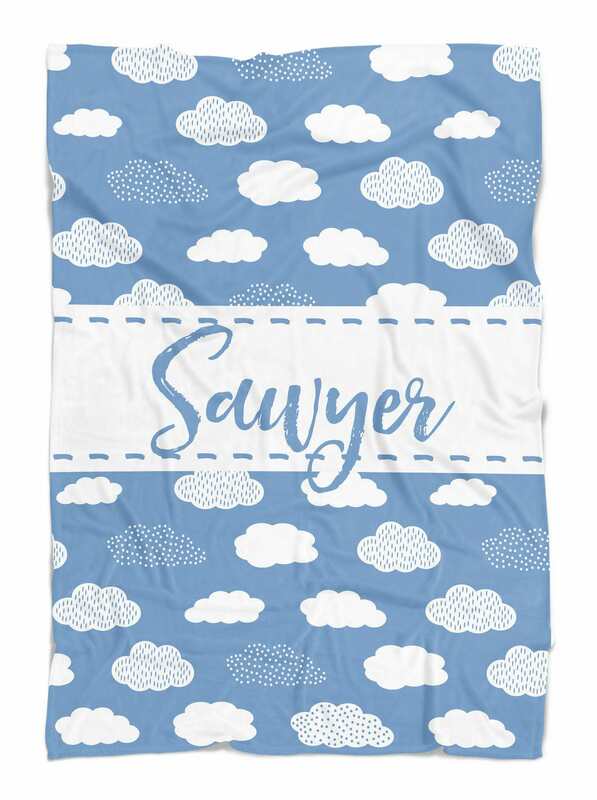 Custom personalized baby blanket with clouds. 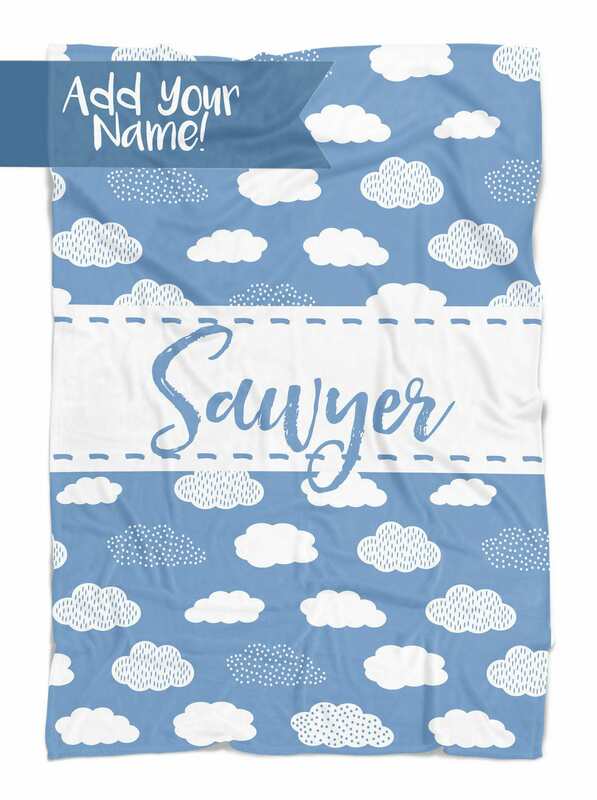 Our blankets are a HUGE hit with new moms! Leave name in "notes to seller". ♥Design is professionally printed on the material, back is white. Follow on Instagram for promo codes and sneak peaks! We accept Visa, Mastercard, Discover or American Express and Paypal directly through Etsy. SHIPPING: All orders are shipped in 1-2 weeks unless otherwise stated in the listing. In a Rush? If you need your item quicker add "Rush My Order" for an additional $20. If you choose to rush your order, we will expedite production and your item(s) will ship within 3-4 business days after you place your order. Shipping times do not include weekends, holidays or the day the order was received. I cannot promise delivery by a certain date due to the post office and their own delivery timeline. We are NOT responsible for lost, damaged or stolen packages please contact your local post office if your package arrives damaged or is lost. Due to the custom nature of our orders we do not accept returns, exchanges, or cancellations but please contact me if you have any problems with your order. Shipping and any Rush add-on's are not refunded. Cancelations will only be accepted within 2 hours of your order and only IF we have not ordered fabric for your item. Please contact us within 5 days if there is an issue with your order. All orders are made with love! 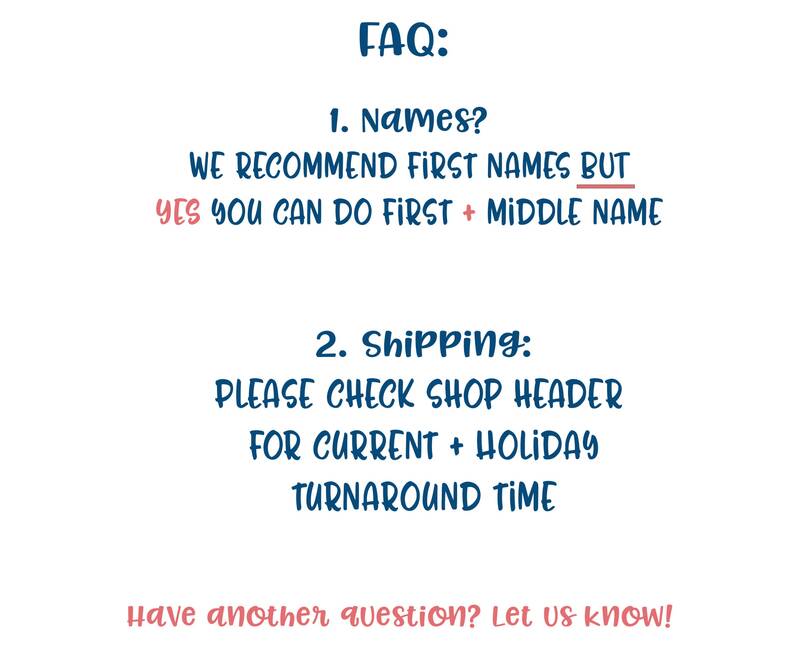 Please allow 6- 8 business days for us to make your custom order. If you need your order in less than a 6-8 business days you will need to select "Rush Shipping"on checkout page. If you select Rush we will expedite your order and your item will ship in 4 business days.